It is the nicotine in cigarettes that keeps people physically addicted. 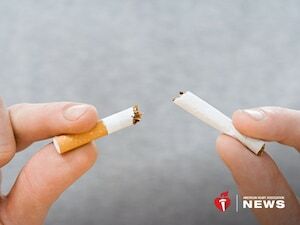 But there are multiple social and psychological factors that also play a role in determining why some smokers who decide to quit are successful while others aren’t. “Stress undermines our coping efforts and is often associated with more intense cravings,” he said. Getting enough sleep each night is essential in reducing stress and increasing a person’s chance of quitting for good, he said. Trying to reduce stress with a glass of wine or beer, on the other hand, could make the problem worse. “Even small amounts of alcohol are associated with an increased risk of relapsing because it causes our inhibitions to drop off a little bit,” said Payne, who’s also an investigator with the American Heart Association Tobacco Regulation and Addiction Center. “Professional help can make all the difference in the world, and many insurance plans cover all or most of the costs involved,” Payne said. The key, he said, is for people to keep using these programs and products even after they’ve stopped using tobacco. People who want to stay quit also shouldn’t fall prey to the “one won’t hurt” myth, Dani said.